After a day of destructive tornados and live shots in the OKC area, the severe weather will persist into the week. 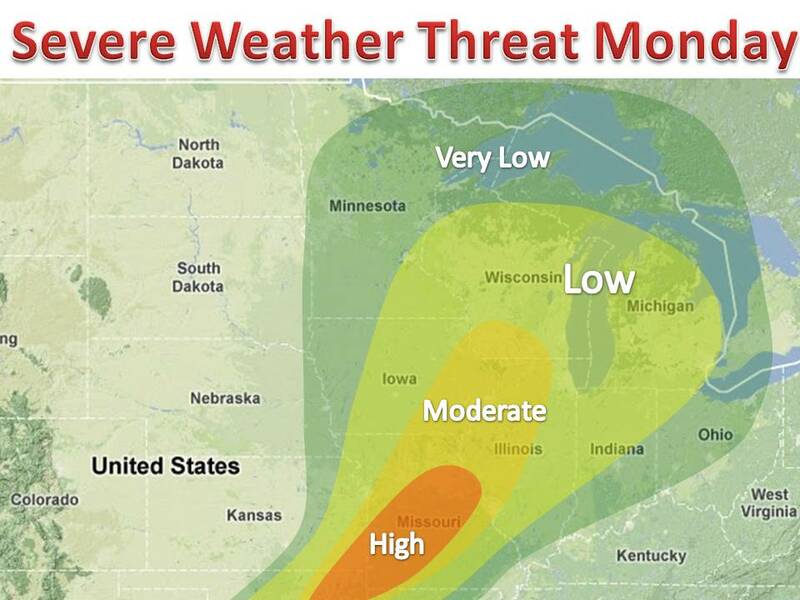 Conditions will be even more favorable for widespread severe weather tomorrow. On the left is our outlook for tonight and mostly tomorrow. 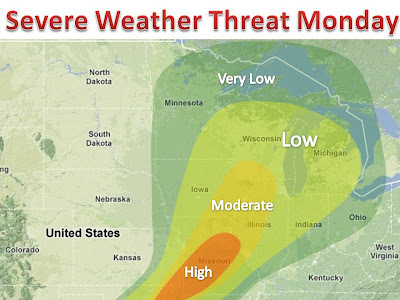 Right now there are large thunderstorms up and down the Mississippi, with severe weather occurring Whenever you see severe weather continue through the night, a strong low pressure with ideal severe weather conditions is occurring. Since much of the energy in severe weather comes from the sun, this situation is slightly uncommon.